The Truth God delivers through our gifted speakers is too good to miss! Don’t you agree? How many times do you feel moved, challenged, inspired, encouraged, or corrected by a message on a Sunday morning and then nothing happens with the seeds of truth we are given? Pastor Tim shared with us a statistic that put it into perspective. He said in essence that we only retain about 10% of the message each week because we move on into so much other information as we reengage with life during our week. What if there was a safe space to open the Bible and study what was shared on Sunday mornings? What if there was a group of women gathering each week to help each other process the truths we are given so that we can be truly changed? There are no dumb questions, just unasked ones waiting to be explored in community! 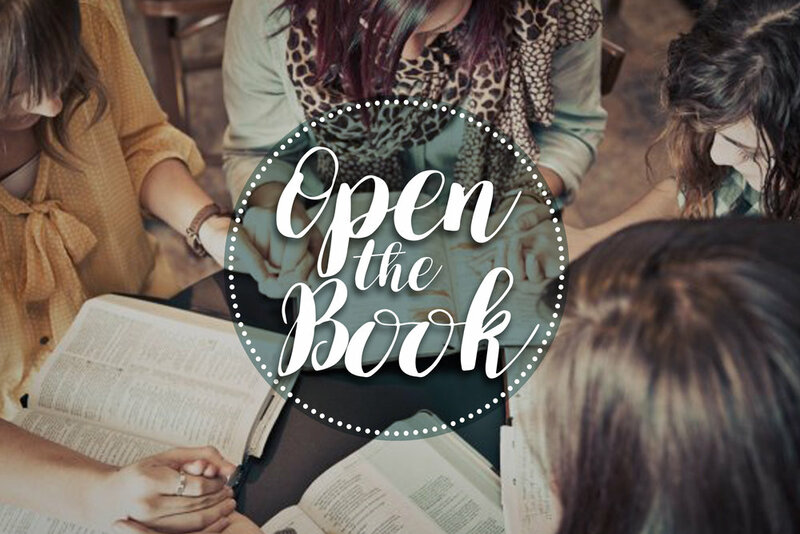 I’m so excited to tell you that Ministry to Women Open the Book groups are going to do just that! Starting the week of February 4th, we have 4 groups launching with the potential to make as many groups as we have leaders in the future. To join one of our existing groups or explore leading one, follow these links. Let's talk about leading one! He promises to reveal Himself more and more to us! As we are learning in service already, His names are His promises! Jehovah-tsidkenu, God our Righteousness; Jehovah-m’kaddesh, the God who sanctifies; Jehovah- Shalom, God our peace; Jehovah Shammah, the Lord who is there; Jehovah-Rophe, The God who heals! I know there is MORE than I have known of God to date even in 25+ years of getting to know Him…Will you join me?